The KLAW Marine Breakaway Coupling provides an identified and safe parting point within the hose transfer system. When tensile forces exceed predetermined tolerances, the Marine Breakaway Coupling activates.The KLAW Marine Breakaway Coupling then delivers two distinct safety features. The first is the closing of the flow of the media being transferred; the second is allowing separation of the hose transfer system. Separation relieves the hose transfer system and minimises risk of damage and spillage. Activation may be caused by events or situations that would prove disastrous without this proven and vital part of the transfer system. Events such as vessel movement, storms and pressure surge could compromise hose transfer systems and cause damage to assets, injury to personnel, contamination of the environment and extended downtime. This might lead to disruption of operation, extensive clean-up costs, litigation and damaged reputation. The KLAW Marine Breakaway Coupling is therefore a crucial part of maintaining a reliable offshore transfer system. Vessel movement and loss of Dynamic Positioning (DP). Pressure Surge: Caused by inadvertent downstream valve closure elsewhere in the system or over-pressurisation. The activation setting is pre-determined to suit the operating conditions. 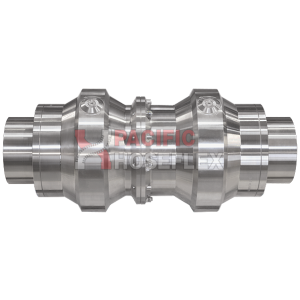 This smaller Marine Breakaway Coupling reduces stress and fatigue on the hose when wrapped on the reel and that means lower operational costs. 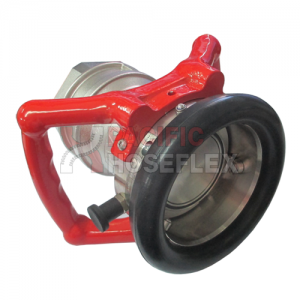 A shorter and lighter Marine Breakaway Coupling causes less disruption when wound on the hose reel. 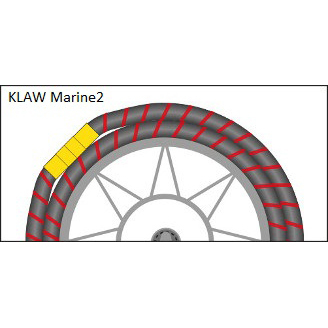 An alternative Marine Breakaway Coupling that is larger, longer and heavier than the KLAW Marine2 causes greater disruption when wound on the hose reel. This increases stress and hose fatigue. 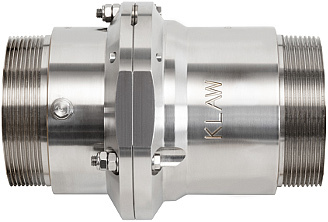 When a KLAW Marine Breakaway Coupling activates, the Flip-Flap Valve mechanism closes on both the upstream and downstream flow within the hose transfer system. This minimises spill on both sides of the hose transfer separation. Spill on activation is minimised by the instantaneous closure of the KLAW Flip-Flap Valve mechanism. The KLAW Flip-Flap Valve mechanism provides 100% closure and therefore 100% shut-off of both upstream and downstream flow. The KLAW Flip-Flip Valve is designed to deliver minimum headloss when in the locked open position within the Breakaway Coupling. 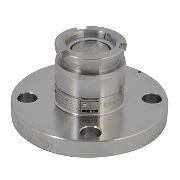 This allows the coupling to provide transfer efficiencies as well as minimising the risk of spills. The KLAW Marine Breakaway Coupling is designed specifically to resist those bending moments and torsional forces expected from floating wave motions and the rigours of the marine environment. The design of the KLAW Marine Breakaway Coupling therefore prevents premature activation of the unit and protects the Breakstuds from fatigue. Any transfer application where protection must be fitted between two sections of flexible hose. 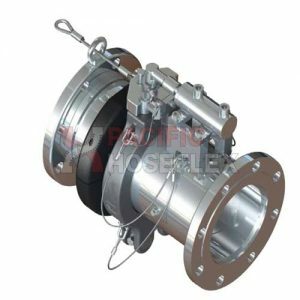 The Flip-Flap Valve design inside the KLAW Marine Breakaway Coupling has delivered many years of reliable and consistent performance and has proven to be the most reliable Safety Breakaway Coupling in the offshore transfer environment. The KLAW Marine Breakaway Coupling is the world-wide industry standard and is the most widely used model of its kind in the world. 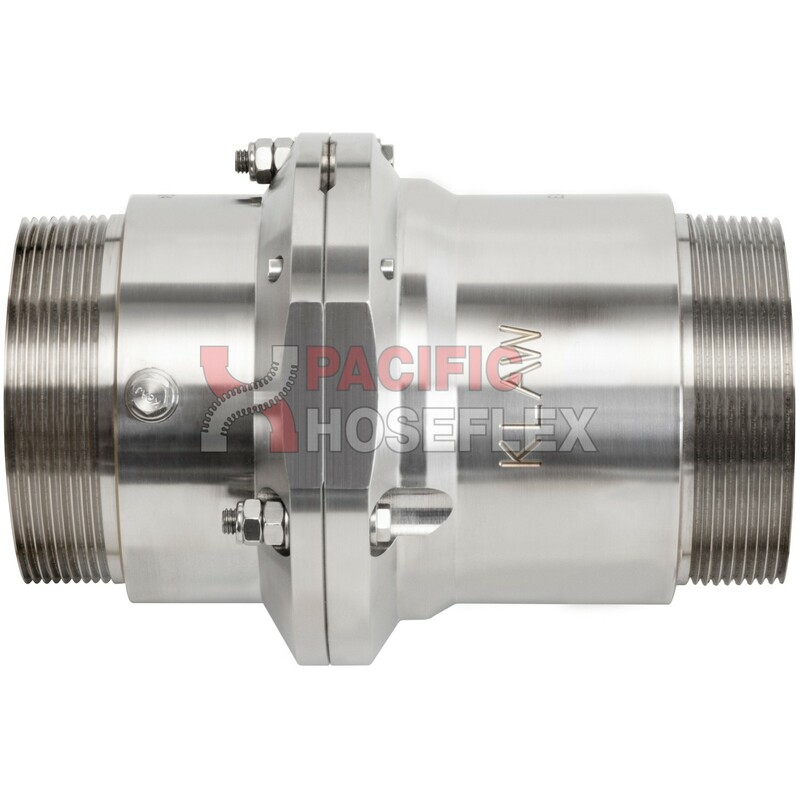 Standard coupling housings are stainless steel. Other materials are available on request. Breakpoint within a transfer system and is designed to minimise risk.